Check out the amazing project from our 2018 Technovation Challenge teams. Ever find yourself wanting to get involved in the community but not knowing where to start? Ever felt lost or alone? Our app takes care of that! 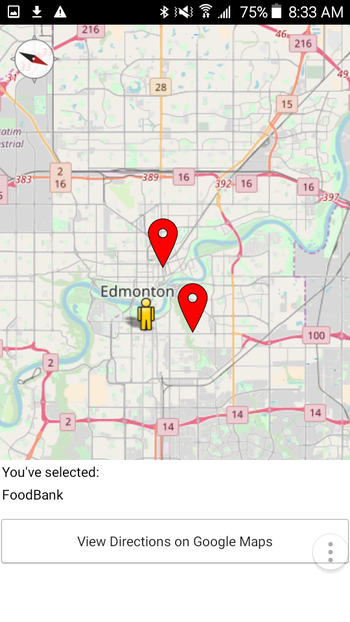 At the push of a button, you can find information about volunteer opportunities, community events, and landmarks that can guide you through the wonderful and diverse city of Edmonton. Our main emphasis is on volunteering and giving back to the community. We even offer real-life rewards, such as discounts in local businesses. 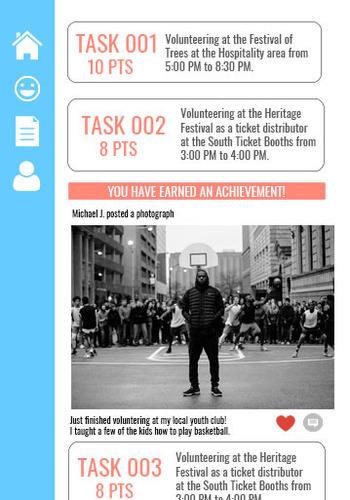 Charineed is a mobile application that allows users to meet the most critical needs of local charities. The app can be integrated into a user's typical shopping routine as they can access a list of the items currently in demand, as updated by charities, encouraging donations that will directly help his/her community while decreasing the amount of unwanted items. The app also directs users to drop-off sites. Eco Echo is an easy to use and educational app designed to both inform users of proper methods of recycling as well as direct them as to where the correct recycling facilities are for specific materials. Our app is aimed to decrease the amount of recyclable products that are thrown in with everyday waste as well as to show our users the long term benefits of their decision to focus on proper recycling practices. We realize that new Edmontonians do not have a clear and simple way to connect with and utilize the resources in the city, so we have created an app that connects new-comers to important services, such as transportation and medical centers. Users can pick from relevant categories to search our databases, as well as read information about city life. Our app is a centralized resource to connect new Edmontonians with the services they require.